Charlotte and Emelia Dubs with their parents Kenzie and Morgan. Charlotte and Emelia Dubs are just starting to toddle around their world. 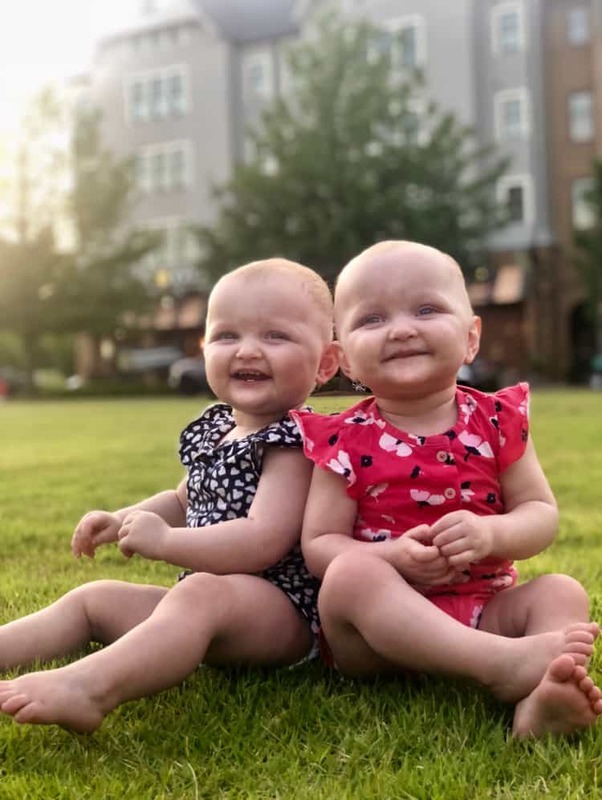 The 1-year-old twin girls from Conway spend their days exploring, laughing, blowing kisses and keeping their parents, Kenzie Butcher-Dubs and Morgan Dubs, on their toes. The Dubses have seen many milestones over the past months. And as the family prepared to celebrate the babies’ first birthday earlier this year, Butcher-Dubs thinks back on the hours leading up to their birth and the possibly tragic outcome had it not been for access to specialists at UAMS. She didn’t feel quite like herself on the day before she was to be induced. She’d been on modified activity since week 23. On the day of her last checkup, everything appeared to be fine. Charlotte and Emelia Dubs as newborns. She was more nauseous than normal, experienced heartburn (which had not been typical for her) and increased swelling in her legs. She’d drank a lot of water that morning, but hadn’t produced much urine. Pre-eclampsia is a condition in pregnancy where there is a sudden rise in blood pressure. It’s can lead to serious or fatal complications. The following morning, Butcher-Dubs says she felt worse. Within a few hours of arriving at UAMS, her blood pressure became in the severe range. Her lab work showed her kidneys were beginning to fail. She was diagnosed with pre-eclampsia. Dubs twins relaxing in their stroller. Butcher-Dubs was also diagnosed with a hemolysis, elevated liver enzymes, low platelet count (HELLP) syndrome. HELLP is a serious complication of high blood pressure that sometimes accompanies pre-eclampsia. Kenzie-Dubs spent several days in the hospital following the delivery. The babies, born at 36 weeks, spent 14 days in the neonatal intensive care unit. The group includes experts in neonatology, urology, cardiology, anesthesiology and nursing, as well as therapists and lactation consultants. Pamela Simmons, M.D. 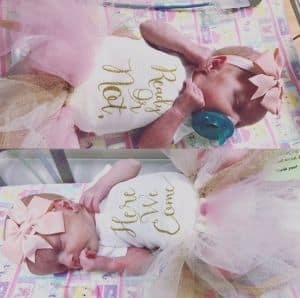 cared for Kenzie Dubs during her pregnancy and delivery. Simmons says at UAMS multiples are delivered in an operating room as a precautionary measure. Butcher-Dubs did not have a cesarean section, but all the resources and people were there in case it became necessary. If given the chance to do it again, Butcher-Dubs says she would have come to the hospital as soon as she started having symptoms. 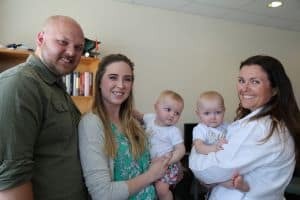 She urges expecting mothers to listen to their bodies.